As I’m turning more and more to iPhone only photography I’m trying to find ways to edit and retouch photos like I did on my laptop. In this tutorial I’ll explain how to create a faux moving clouds effect that mimics a long exposure on iPad. 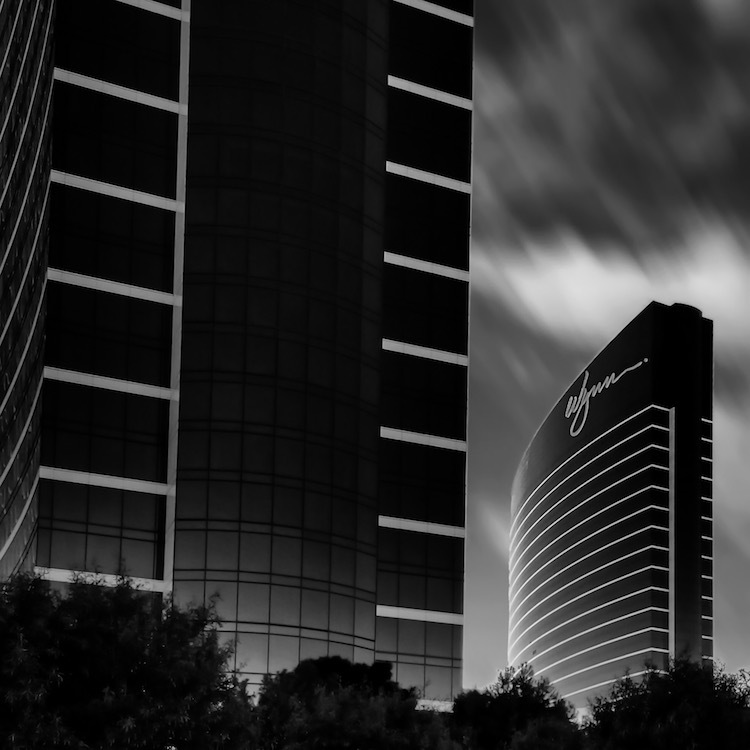 I’ll use a photo I took in 2012 in Las Vegas of Wynn and Encore Resort plus a cloud photo I took (Don’t exactly remember where I took that cloud shot, but I guess it really doesn’t matter, does it). To create the faux moving cloud effect, I’ll use Photoshop Touch. By the way: I do recommend that you build a library of sky and cloud shots that you can use to retouch photos and to replace a boring sky. Update: Photoshop Touch has been discontinued. But recently Superimpose App was updated and it now supports a motion blur filter that you can use to create this effect. Next I need to remove the existing and boring sky. I used the magic wand tool for this. Make sure you use the “+” and “contiguous” are set. That will allow you to work iteratively and add areas of the sky to the selection. In this photo, the sky probably had 50 shades of blue and its difficult to select everything at once. Next, reposition the cloud layer to have the clouds exactly in the position you want them. To do so, tap the cloud layer, then tap the four arrow icon in the menu bar and drag the cloud layer. Make sure the cloud layer is selected. If not, tap it once. Then select directional blur from the fx menu, which is in the basic section of the main menu. Select the desired angle of the motion blur and the blur strength. Tap the checkmark to apply the settings. Finally, I converted the entire shot to black and white and here’s the final shot.